Miracle Cure are a fantastic group of musicians with a great reputation for being professional and easy to work with, as well as engaging and enthusiastic as performers. They're happy to accommodate your needs and guaranteed to deliver! Their extensive repertoire provides the best of rock & pop, also featuring all types of music you can think of - including: indie, alternative, pop folk, rock 'n' roll, R&B/soul, funk rock, country and blues. As much as they cover the genres, they also span the decades, featuring 50's classics and recent hits and everything in between! Why not have a look for your favourite in their vast setlist available under the tab at the top of the page. Or check out their performance videos and great selection of recorded audio tracks at the side of this page to get an idea of their sound. When you hire this band you're also getting years of experience of TV, radio & touring and knowledge of a wide variety of songs. This talented group of performers know how to play a crowd according to each specific event, whether it's a wedding or a corporate function. But don't just take our word for it - have a look at the 'reviews' tab to see what previous clients have thought of this fantastic band. Miracle Cure don't just play mainstream music. Their charismatic Irish lead singer, Paul, performed for years back in his homeland and these Celtic influences are clear in their lively and, well, plain wild Irish set, where they consistently get the whole crowd partying like the Irish do! Paul can even occasionally be seen wearing a small green hat - perhaps it is a perfect reflection of this Irish passion! Sorry, Miracle Cure doesn't have any photos right now Send us an enquiry and we'll get back to you, or check out the rest of the act profile. Sorry, we don't have a setlist for Miracle Cure yet Send us an enquiry and we'll get back to you, or check out the rest of the act profile. Hi I just want to thank the band and DJ for an amazing night everything went perfectly. they arrived and were set up on time and got all our guests up on they're feet from the start to the end. The range of songs they played was fantastic. We would highly recommend them to anyone that wants a professional service from fantastic entertainers. Thank you again for making our wedding reception amazing ! "Thanks for Saturday, got so may compliments about the band, everyone had a great time!" Makayla and Phil, Essex. "Awesome! Non-cheesy and rocking!" Tim Michael's Wedding, Frankfurt, Germany. "Our favourite covers band." 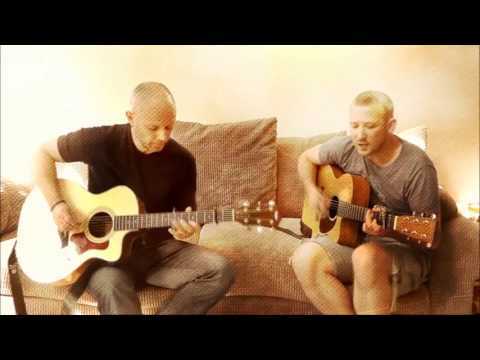 Chris & Ben, The Hurlingham, Wandsworth. "Energetic and classy." Andy, The Durell Arms, Fulham. "We booked Miracle Cure for our wedding, having never seen them as a four piece. Two of the members sometimes play a local pub that we visit on occasion. Having spent several weekends traveling to see other bands we decided to book them based on their pub performance. I have to say we never for a minute regretted our choice. The floor was full from the start of the music, until the band finished. The mood was fantastic, and a lot of people made a point of complimenting the band's ability and sound. The band even offered to, and did indeed learn off our first dance ('Sway'). They supplied a full varied playlist for us to pick from, although we chose to let them pick the music on the night, again a choice we have no regret over. I know they certainly helped to make our day the fantastic day it was for us, I hope yours goes as well. Make sure you take time on the day to enjoy them, the time flies by so quickly." Sarah Watson, 'Royal Society of The Arts' event. "This is one amazing band and I would highly recommend them. We had them play at our wedding and the dance floor was full all night and everybody complemented them. The young and old were all up. It really gave us piece of mind knowing they would sort all the music side of the night. Their song list is brilliant and there was something for everybody." James and Lyndsey Watson, Le Gothique, Wandsworth. 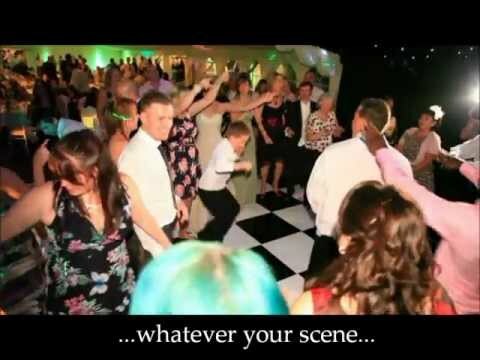 "We just wanted to thank Miracle Cure for playing at our wedding. They were absolutely amazing. Their song choices were perfect and Paul interacted with our guests all night. We have, and will recommend the lads to anyone we can. Thanks again." Robert and Gemma Blumberger, Hertfordshire.